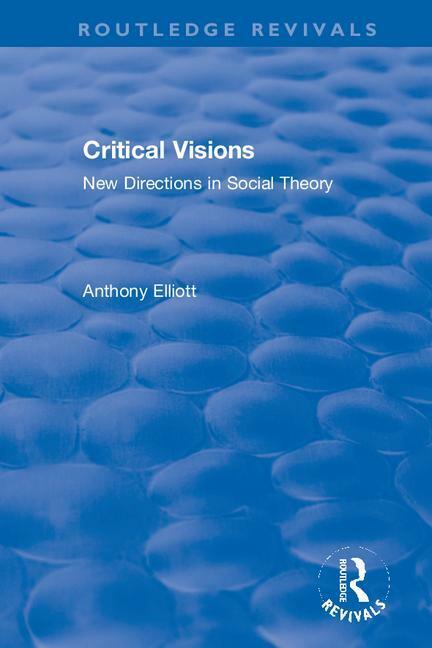 Originally published in 2003, Critical Visions develops a wide-ranging analysis of key issues and debates in contemporary social theory. Drawing social theory, cultural studies, and psychoanalysis together in a bold configuration, the book challenges the widespread view that social theory seems to have lost its way as a result of the diversification of conceptual approaches. The book includes critical readings of the terrain of contemporary social theory and theorists. Questions relating to the globalization of risk, citizenship, morality and ethics, politics and norms, and sexuality and desire are all explored.